Zara Sale Date: When Does Zara's Summer/Fall Sale Start? Zara doesn’t have sales often; just twice 3x a year; during Black Friday, Mid-Season, Spring/Summer and Fall/Winter. It’s the Zara seasonal sales when people, like me, go crazy. I’m sure the associates at the stores probably recognize me when these sales come around — even in New York where there’s 5-6 Zara stores within 2 miles of one another. Perhaps I should break it up and shop online. People go nutty because Zara regularly boasts moderately-priced shirts, pants, jeans, sweaters, belts, shoes, bags and accessories. So when you can have those reasonably-priced items for up to 75% off you can imagine why fans go beast mode. And if previous sales are any indication, their bi-annual blowout will last for 4-5 weeks. 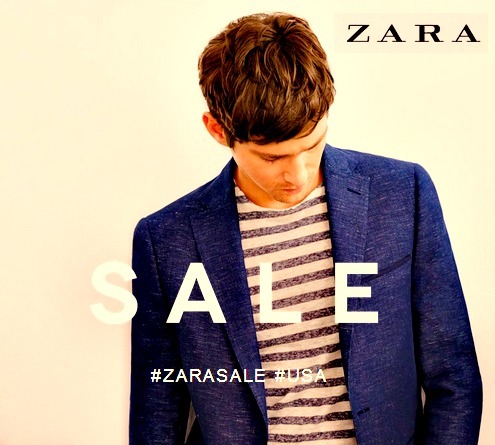 During these month-long sales, Zara has multiple markdowns that occur weekly over the period. * Yes, Zara does have Black Friday sales! From beginning to end, Zara sales last somewhere between five and six weeks. Basically it keeps going until their inventory is gone. As mentioned, Zara will mark down their sale items 3-4 times during the sale, so it’s the decision to buy a sale item you like now or wait 5 days to see if it’ll be marked down. In any case, I’ll take note of this season’s sale and update this post when the blowout peters out. [UPDATE] As of July 31st, the sale has essentially wound down to the point where only 3 of the 5 Manhattan stores even have sales items remaining, so this particular sale lasted 6 weeks from start to end. How Does Zara Keep Prices So Low? Zara has mastered this version of perishability, which creates a high turnover of unique and current offerings that, when sold out, are replaced by a new set of fashion looks or unique new offerings. The ensuing sense of urgency to impulse buy is stemmed by the fear that the item might be gone if you wait to reconsider. I’ve found so many gems over the last four Zara sales. Ack. I’m way too excited about this. When does Zara’s summer sale start? When are the Zara sales in 2017 (Spring/Summer and Fall Winter)? When are the Zara sale dates in 2018 (Spring/Summer, Fall/Winter)? Black friday sale this year was great, 30% off everything! And I was also checking out the NYC stores weekly on my days off! Last year their winter sale was in December. I remember shopping after work, but this year it seems like the Sale will start later due to the black Friday sale. Hi do you know how long does sale in european countries commence after the UK sale? UK sales just started today. Thanks! Yep, I’m in NYC too. We’re now thinking it’ll start this Friday, June 24. Keep us updated. It hasnt started yet the summer sale……you predicted on 18of june….? Hey in India also there is no sale yet ……and uh predicted on 17of June? We did — but as you can see in the post, we slashed it out. What’s your prediction? You’re welcome, Bri. The sale starts in 22 minutes! Any idea when the price drops happen throughout the sale? I don’t have info on that but from what I remember it’s like every 8-10 days. The sale lasts 6-8 weeks from start to end, and there are appoximately four or five markdowns in that span. When they will start sale for December ? The sale hasn’t come yet…u predicted it today. !!? Pls I need sales updates, thanks guys!